Andy Manchir is a director in Katz, Sapper & Miller's Valuation and ESOP Services Groups. Andy provides valuation and business advisory services for various purposes, with a particular emphasis on Employee Stock Ownership Plan (ESOP) services. These ESOP services include feasibility studies for business owners considering an ESOP, structuring and financing, and valuations and opinions needed for ESOP formations, updates, and terminations. He has performed business valuations for several other purposes, including valuations for estate and gift, mergers and acquisitions, and litigation support. Andy has testified as an expert witness on business valuation matters. 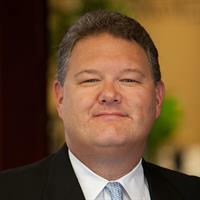 Prior to joining the firm, Andy served as vice president and project leader with Goelzer Investment Banking. His professional background also includes corporate accounting and corporate finance experience with IBM Corporation. Andy graduated with distinction from Indiana University with a Bachelor of Science degree in finance. Andy is an active member of The ESOP Association and serves on the Executive Committee of the State and Regional Chapter Council. He also serves on The ESOP Association’s Valuation Advisory Committee. In 2010, he received the prestigious national award of “Chapter Officer of the Year” from The ESOP Association. Andy is a Certified Management Accountant (CMA) and is a member of the Institute of Management Accountants. He is also a Certified Exit Planning Advisor (CEPA) and serves on the leadership team for the Exit Planning Institute’s Central Indiana Chapter. Additionally, Andy is a member of the National Center for Employee Ownership and is an accredited member of the American Society of Appraisers.